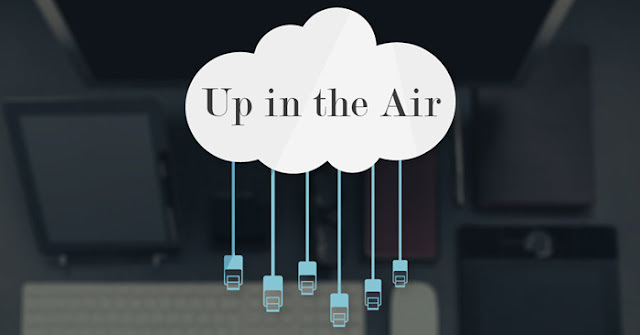 There is an extensive amount of hype and chatter around cloud computing. Be it a casual office joke or the movie, Cloud has established its presence and claimed its space in Information Technology. According to Cisco, the cloud platform and infrastructure market roughly generated about 21$ billion in revenues and expected to grow 20% until 2018, reaching up to $43 billion. Read on for must know FAQs of Cloud Computing. Singapore being the front runner with technology, has already established G-Cloud (called Government Cloud) with objective of providing resilient and secure ICT shared environment that allows government agencies to procure computing resources on-demand, with greater easy and speed. The private G-Cloud in 2013 was providing Infrastructure-as-a-Service (Iaas), which later enhanced with Software-as-a-Service (SaaS) offerings in 2014. As Steve Leonard Executive Deputy Chairman Infocomm Development Authority of Singapore noted, the addressable market size for Singapore is smaller, but the other conditions are favorable for SMEs to use cloud computing in Singapore. SMEs as an early adopters of technology, there is demand driving the use of cloud technology. This is both affordable for the average Singaporean SME, and uptake is supported by a range of government programmers. It is likely that commerce (both wholesale and retail), accommodation and food services, and property sectors would be the early adopters of cloud computing. So why aren’t we going cloud? What are the factors that affects the decision? What are the adoption objectives? And most importantly what is the need to go cloud? To kick start the thinking process on this, I have put together spectrum of Frequently asked Questions (FAQs) from basic to complex ones. Readers are encouraged to approach the answers from their business perspective. Cloud computing comes in three forms: public clouds, private clouds, and hybrids clouds. Depending on the type of data you're working with, you'll want to compare public, private, and hybrid clouds in terms of the different levels of security and management required. 2. What is a public Cloud? Naturally, a public cloud is a service that anyone can tap into with a network connection and a credit card. "Public clouds are shared infrastructures with pay-as-you-go economics,"
3. What is a private Cloud? A private cloud attempts to mimic the delivery models of public cloud vendors but does so entirely within the firewall for the benefit of an enterprise's users. 4. What is Hybrid Cloud? a. Security, Data protection and Availability. 8. What types of service-level agreements are cloud vendors providing? Cloud vendors typically guarantee at least 99% uptime, but the ways in which that is calculated and enforced differ significantly. Amazon EC2 promises to make "commercially reasonable efforts" to ensure 99.95% uptime. 9. How can I make sure my data is safe? Data safety in the cloud is not a trivial concern. Online storage vendors such as The Linkup and Carbonite have lost data, and were unable to recover it for customers. Secondly, there is the danger that sensitive data could fall into the wrong hands. Before signing up with any cloud vendor, customers should demand information about data security practices. 10. Which party is accountable for personal information? The business that collects it from individuals or the cloud provider? Cloud computing can significantly reduce the cost and complexity of owning and operating computers and networks. If an organization uses a cloud provider, it does not need to spend money on information technology infrastructure, or buy hardware or software licenses. Cloud services can often be customized and flexible to use, and providers can offer advanced services that an individual company might not have the money or expertise to develop. There you go guys! these are some of the FAQ's of cloud computing. If you like to know specific details regarding how to setup cloud for your business, or whether to go for public, private or hybrid cloud or even to know what it would cost to set up cloud for your business, please drop me a note. Thanks for stopping by and have a great day!